The American Academy of Pediatrics released a policy statement yesterday, urging the federal government to update the 35-year-old Toxic Substances Control Act (TSCA), and to start protecting our kids from hazardous chemicals. It’s about time pediatricians stand up for their patients. The statement published in the journal Pediatrics states “that the chemical-management policy in the United States be revised to protect children and pregnant women and to better protect other populations.” Read on to find out what pediatricians want to change. With bisphenol-A, phthalates, and other nasty chemicals constantly questioned, pediatricians want the Environmental Protection Agency to take a closer look at the TSCA because these chemicals and tens of thousands of others have been developed since the Act went into effect in 1976, and little testing has taken place and the law has virtually gone unchanged. Manufacturers should be responsible for developing information about chemicals before marketing. The U.S. Environmental Protection Agency (EPA) should have the authority to demand additional safety data about a chemical and to limit or stop its marketing when a high degree of suspicion about safety exists. The federal government should provide funding to evaluate the effects of chemicals on children’s health. Research should include effects on reproduction and development. Federal policies should reward and promote developments in green chemistry that serve to replace existing chemicals of concern and their commercial applications. the need for such testing. prevention, but it may serve as an early warning system. Stored samples may allow look-backs when new problems develop in the future. Pediatricians should familiarize themselves with the information about chemicals in the environment and their effects on child health. Pediatricians should learn about the resources contained in the Environmental Health and Toxicology pages of the National Library of Medicine Web site. Those portions that will be of most use in counseling families include Lact-Med (a peerreviewed and fully referenced database of drugs to which breastfeeding mothers could be exposed) and the Household Products Database. Pediatricians should advocate for chemical policies that consider the special vulnerabilities of children and pregnant women. So will the government finally start listening now that a major medical organization like the American Academy of Pediatrics is begging for chemical regulation, rather than only environmental activists and organizations leading the charge? Only time will tell, but we sincerely hope so. The American Academy of Pediatrics released a policy statement yesterday, urging the federal government to update the 35-year-old Toxic Substances Control Act (TSCA), and to start protecting our kids from hazardous chemicals. It's about time pediatricians stand up for their patients. The statement published in the journal Pediatrics states "that the chemical-management policy in the United States be revised to protect children and pregnant women and to better protect other populations." 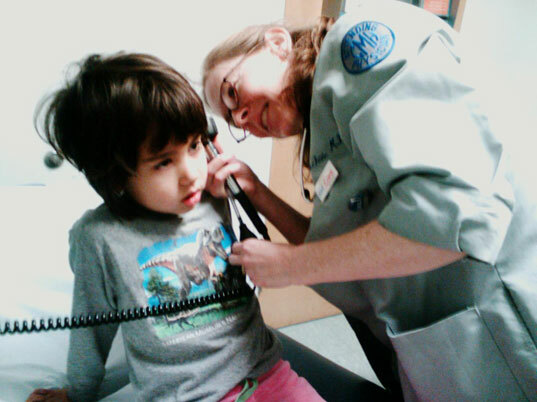 Read on to find out what pediatricians want to change.